Atlanta, Georgia – S.A.F.E. Management is thrilled to welcome two new Team Members to the “Georgia S.A.F.E. 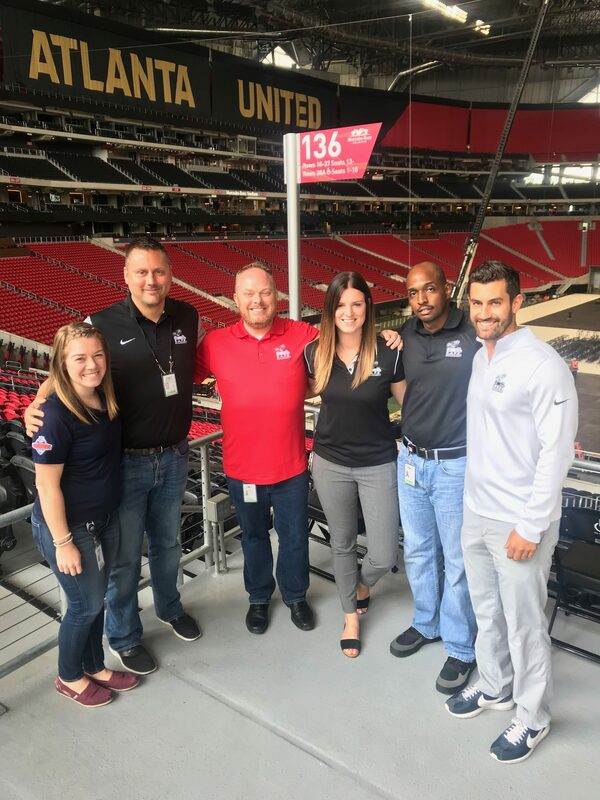 Team.” Shelby Harris joins the team at Mercedes Benz Stadium after interning for S.A.F.E. in Detroit, Michigan under the leadership and mentorship of Jon Seibt, Chris Judd, Kathy Ruehle and Tevin Kellum. Shelby gained tremendous experience and became ingrained in the S.A.F.E. culture while working in the Detroit Office. Shelby will lead Georgia’s Recruitment and Training efforts moving forward. S.A.F.E. is also pleased to announce that Aaron Schmitt has recently joined the Georgia Team as its new Director of Operations. Aaron is a veteran of the Event Staffing industry and has led the staffing efforts at numerous Stadium’s on the East Coast. Aaron joins S.A.F.E. after serving as the Director of Guest Experience for the Pittsburgh Steelers/Heinz Field for the last two years. Aaron is not new to S.A.F.E. as he has been a part of S.A.F.E.’s Super Bowl “Special Travel” team since Super Bowl XLIX. Aaron will work closely with Georgia’s General Manager, Joe Parr, and continue to develop staffing plans and security operations plans to adhere to NFL/MLS Best Practices for Stadium Security. Aaron will also work diligently to continue the development and growth of S.A.F.E.’s event day Leadership group. We look forward to seeing the incredible contributions both will make to the S.A.F.E. Team over their career.